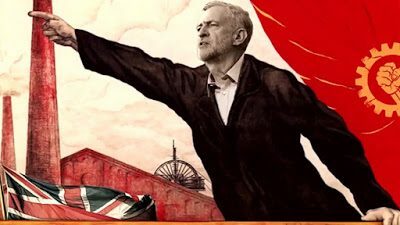 A recent opinion piece by a certain Ben Cohen for the ‘Jewish News Syndicate’ entitled “Soviet anti-Semitism in a British guise” presented the view that the Jeremy Corbyn-led British Labour Party has adopted the trappings of an anti-Jewish political ethos which he claims has been adopted from the Soviet Union. He also points the finger at Corbyn for empathising with the Soviet Union which the author charges as having operated a state policy of anti-Semitism from the time of the coming to power of the Bolsheviks. However, a close scrutiny of Cohen’s claims reveal that they are in several respects lacking in historicity and in others are devoid of the context that helps explain -though not condone- the persecutions visited upon Soviet Jewry, as well as the mutual antagonism developed between the Soviet Union and Israel during the Cold War. Cohen’s accusation of the Labour Party as being the repository of “Jew-hatred” is a huge one, but one that is flawed. It is symptomatic of an ongoing series of accusations and allegations which many are beginning to understand is a reaction against Labour’s tilt towards a stance that is predicated not on “Jew-hatred, but on an ideological rationale which comprehends the state of Israel as a colonial-settler project that has involved the continuous policy of ethnic cleansing against the indigenous Palestinian population, as well as the above-the-law actions of the Israeli state, which acts with impunity in its ill-treatment of the Palestinian people and its persistent defiance of international law. Cohen’s suggestion that Soviet anti-Semitism “was state policy in the USSR, arguably from the 1917 Revolution onwards” simply does not stand the test of scrutiny. No professional historian of repute could accept this given that a good amount of figures of Jewish origin served at the helm of the Soviet state. In fact, it would not be inaccurate to state that many compartments of the state including its political, administrative, cultural and security establishments were dominated by Jews. The top echelon of the leaders of the early USSR included Leon Trotsky, the founder of the Red Army; Yakov Sverdlov, the Chairman of the Central Executive Committee; Grigori Zinoviev, who headed the Communist International; Karl Radek, the commissar for the press and Maxim Litvinov, the foreign affairs commissar. Other key figures of the time include Lev Kamenev, one of seven members of the first Politburo who served for short periods respectively in the office equivalent of head of state, and later as the Prime Minister of Soviet Russia. Slezkine also makes clear in his book that the preponderance of ethnic Jews in the Soviet state apparatus benefitted the aggregate of Jews living in the USSR. The resentment this caused to non-Jewish Soviet citizens was reflected in private letters intercepted by the Soviet state, samples of which Slezkine refers to in his book. For instance, one correspondence in October 1925 stated that “the Jewish dominance is absolute”. Another from the previous month, claimed that “every child knows that the Soviet government is a Jewish government”, while another opined that “the Jews for the most part, live extremely well: everything, from trade to state employment, is in their hands.” And another from June 1925 complains that “the whole press is in the hands of the Jews”. What followed were newspaper exposes, speeches by celebrities and legal action was taken against transgressors who were prosecuted in show trials. In 1931, Stalin himself said in an interview that “active anti-Semites” faced the death penalty, and it was under Stalin’s watch that the Soviet state set up the Jewish Autonomous Oblast in 1934 with Birobidzhan as its capital. When they took control of the Russian Empire in 1917, the Bolsheviks officially abolished the Pale of Settlement, the region of Imperial Russia within which Jews were legally confined. Lenin had at the outset of his seizure of power underlined the commitment of his regime to stamping out anti-Jewish sentiment in the Russian population. In a speech that he delivered in March 1919 called “On Anti-Jewish Pogroms”, he spoke about the “lies and slander that are spread about the Jews” and enjoined the Russian masses to embrace Jews as “our brothers” and to consider them as “our comrades in the struggle for socialism”. So much for Cohen’s supposition of anti-Semitism “arguably” being Soviet state policy from the 1917 revolution. While he is less than definitive in his claim of the existence of an anti-Jewish state policy from the time of the Bolshevik ascent to power and the official inception of the Soviet Union, Cohen expresses a greater level of certainty about state-sponsored anti-Semitism in the post-war years. He is on surer ground here. The ‘anti-Cosmopolitical campaign’, and the ‘Doctor’s Plot’, for instance, bear testament to this. There is evidence of state policies in areas such as education and employment which targeted Jews on the basis of their ethnicity. In a similar vein, it is clear that there were policies directed at Jews on the basis of their commitment to an ideology which stood in opposition to that of the Soviet state. However, what Cohen fails to do is to give this turn of events a proper socio-historical context. Why would the Soviet Union which as Cohen acknowledges “liberated Auschwitz in 1945”, and which, although he does not refer to it, was the first country to provide de jure recognition to the state of Israel after its creation in 1948, turn from a state policy geared towards combating anti-Semitism to one of state sanctioned persecution? The Second War, which was known as ‘The Great Patriotic War’ during its prosecution, as indeed it is still known to this day, involved Stalin’s invocation of Russian history and sense of patriotism as a motivational tool to fight the invader armed forces of the German Reich. While the Soviet effort essentially involved a coalition of the different ethnic groups who lived in the Soviet Union, the heightened atmosphere of national feeling created the conditions within which ethnic Russians began to consider themselves to be underrepresented and Jews overrepresented in many institutions, and sought to regain control -as they perceived it- of these institutions. Thus a clandestine system of quotas was implemented in the social and economic spheres such as in relation to the admission of Jews into the Communist Party, the army, and trade unions. This does not serve as an excuse for the venom of racism, but supplies the necessary background, without which anti-Jewish feeling is simply presented as an inexplicable phenomenon. The other post-war development to contribute to what would formally develop into an era of persecution was the growth among Soviet Jews of the ideology of political Zionism. While Stalin may have been favourable to the creation of an Israeli state which he thought would serve as a Soviet-friendly outpost in the Middle East that was dominated by the old European colonial powers (he assumed that the new state, led by Labour Zionists, many of whom originated from the old Russian Empire would be a socialist one with a pro-Soviet outlook), he soon became disillusioned and evidently believed that the loyalties of Soviet Jews would be focused on a foreign state rather than on the Soviet state. The beginnings of a purge is evidenced by the so-called ‘Doctors Plot’ and the clamp down on the membership of the Jewish Anti-Fascist Committee most notably through the murder of its chairman Solomon Mikhoels, and the sending to a gulag of individuals such as Polina Zhemchuzhina, the Jewish wife of long-time foreign minister Vyacheslav Molotov, who was an active supporter of the committee. It is important to note that Jews were not the only victims of Soviet state policies in the aftermath of the war. In fact, beginning during the war, other ethnic groups and nationalities bore the brunt of state-directed programmes which targeted them with mass deportation and persecution. These include ethnic Germans, Koreans, Finns and other diaspora nationalities such as Karachais, Kalmyks, Chechens, Inguish, Balkars, Crimean Tartars, and Meskhetian Turks. 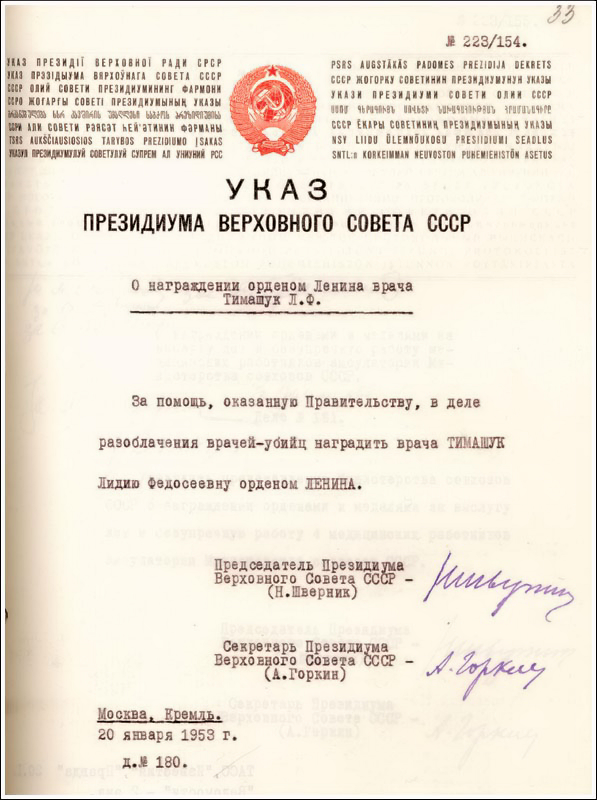 The internal measures of forced repatriation were based on the premise of collaboration with the wartime enemies of the Soviet state, and were carried out on the basis of being either preventive or punitive. The Cold War became a stage through which the anti-colonial stance of the Soviet Union clashed with Israel’s affiliation with the United States, the ideological competitor of the Soviet Union, which of course was perceived as a force for global imperialism. The political and military enmity between the Soviet Union and Israel was also fueled by Soviet support for Palestinian militant groups, as well as the granting of military aid to Israel’s major Arab foes, Egypt and Syria. Israel’s leaders considered the the Soviet Union to be the overseer of international terrorist movements, and also to be the backer of Arab states bent on its destruction. The Israeli military of course prevailed over Soviet-armed Arab armies in the wars of 1967 and 1973. However, one other notable, but largely unremarked upon episode during this period of mutual antipathy was the part played by Israeli military intelligence in arming and training Hezb-i-Islami Mujahideen, an Islamist guerrilla group fighting Soviet forces in Afghanistan during the 1980s. While Cohen portrays Soviet policies in the Middle East as having been inextricably linked to anti-Jewish sentiment, he conveniently ignores the fact that the USSR supported a whole range of national liberation movements around the world, and that Soviet support for Middle Eastern Arab regimes was consistent with a policy seeking to combat American influence in the region in a similar vein to other contests for ideological supremacy in other parts of the globe. There is a noticeable tendency among those who defend the state of Israel against the political Left to explicitly or implicitly position Leftist thinking as being somehow ineluctably anti-Jewish. The Left or the ‘hard’ Left, the argument goes, has either always been or has now morphed into a bastion of anti-Semitism, once the sole preserve of the far Right. Ben Cohen’s piece neatly fits into this paradigm. There are, however, problems with this narrative. And a legitimate point of scrutiny must begin by acknowledging the historical prominence of Jewish individuals and swathes of Jewish communities in the promotion, during a large period of the 20th century, of the radical ideologies of the Left, including Marxism. The contention between the ideologies of Bolshevism on the one hand, and Zionism on the other in the hearts of Jewish communities alluded to by Winston Churchill in a 1920 article for the Illustrated Sunday Herald entitled “Zionism versus Bolshevism: A Struggle for the Soul of the Jewish People”, was a real one. And the resolution of this intellectual conflict in favour of Zionism is one that needs referencing in contemporary debates about the relationship between the political Left and Jewry. A necessary part of explaining what may be termed the Jewish estrangement from the Left must consider the waxing and waning of Jewish power and influence during the 20th century -the “Jewish Century” according to Yuri Slezkine- which saw the diminution of Jewish power in the Soviet Union and its rise in the Middle East. There are numerous instances of Jewish individuals and organisations of the time affirming that Jews were at the vanguard of the Bolshevik takeover of Russia. For instance, an article in the September 10 1920 edition of the American Hebrew periodical which referred to the revolution as “an achievement” went on to proclaim the event as having been “largely the outcome of Jewish thinking, of Jewish discontent, of Jewish effort to reconstruct”. “The ideals of Bolshevism at many points are consonant with the finest ideals of Judaism”. “The Communist soul is the soul of Judaism”, adding that “the triumph of Communism was the triumph of Judaism”. The waning of Jewish power in the USSR began with the rise to power of Stalin in the 1920s. Although some Russians have in popular lore characterised the manoeuvre as one involving Stalin and a clique of ‘gangsters’ from the Caucasus taking power from Trotsky and his Jewish associates at the point of a dagger, this is much too crude and inaccurate a summation. But his outmanoeuvring of Trotsky on the one hand and of Zinoviev and Kamanev on the other, began a trend that pushed Jews out of the party. As Karl Radek ruefully put it: “Moses took the Jews out of Egypt; Stalin takes them out of the Communist Party”. The hold that international communism held over many Jews outside of Russia took some time to wane after Stalin’s bloody purges and the post-war policy of Russification. In the 1950s, anti-Leftist witch hunts in the United States affected many Jews in Hollywood, and many episodes of Soviet espionage against the United States related to the Manhattan project involved Jewish figures. But the consolidation of the Zionist dream through the creation of Israel, the burgeoning Refusenik Movement in Russia, the euphoria surrounding Israel’s remarkable rout of Arab armies in the Six Day War, as well as the germination of the neoconservative philosophy of which several leaders of the anti-Stalinist Trotskyite faction of the Left played a defining role, all serve, to varying degrees, as key developments in the severing of Jews from the Left. The two specific quotes used by Cohen as evidence of Jeremy Corbyn being a defender of “the Soviet regime”, and of Corbyn’s disposition as an “ideological fellow-traveller”, are symptomatic of a campaign that is geared to defame and to denigrate. When Corbyn rose up in Parliament in July 1984 during a debate on employer-provided nurseries to claim that “the Soviet Union makes far greater nursery provision than this country”, he was in the first instance expressing the widespread revulsion of many inside the House of Commons and in the wider public at Conservative government plans to tax nurseries. This according to Corbyn was an inhumane encumbrance on women who wished to work. It would, in his words, also effectively serve as a “tax on children”. The Soviet Union makes far greater nursery provision than this country, as do many other countries in both eastern and western Europe, including West Germany. The snippet relied upon by Cohen thus take Corbyn’s words out of their correct context. Rather than upholding the Soviet Union as a paragon of virtue and achievement, he was underlining the fact that the British government was falling short of a standard set by countries designated as the ‘Second World’, that is, the socialist states of eastern Europe, and by other developed Western nations such as West Germany. So far as his second quote is concerned, Corbyn’s disbelief, expressed in a Parliamentary debate, that the Soviet Union ever had the intention of invading western Europe, is one which with hindsight a great many people of different political outlooks would agree with. As the Cold War progressed after the Cuban Missile Crisis, it was clear that the spectre of mutually assured destruction served as a great disincentive for either NATO or the Warsaw Pact to initiate a full-blown conflict. Battle plans drawn up by the Warsaw Pact such as “Seven Days to the Rhine”, a simulation exercise of a seven-day nuclear war with NATO were framed as reactive measures to a first strike by NATO. Again, Cohen conveniently ignores part of Corbyn’s rationale which was predicated on the huge loss of life sustained by the Soviets during the Second World War. And while his preceding words that “Conservative Members seem to be pretending that the Soviet Union is our enemy” may at first sight strike the unerring observer as being somewhat strange given the hostilities manifested by the arms race, through espionage intrigues and via proxy wars, it should be remembered that Corbyn was speaking in the context of the policies of detente embarked upon by Soviet leaders in concert with their American counterparts during the 1970s, as well as the later efforts of Mikhail Gorbachev to end the arms race. He may have been thinking of the fact that the Soviet Union entered into a war time alliance with Britain and the United States to defeat Nazi Germany, a burden which was largely executed by Soviet armies in epic battles such as that fought in Stalingrad. The present and ongoing campaign by groups representing the British Jewish community against Jeremy Corbyn thus cannot be fully understood without comprehending the lengthy and complex historical backdrop of Jews and the political Left. Once upon a time, the majority of Jewish communities around the world were staunchly anti-Zionist. Jewish leaders such as the American Henry Morgenthau thought Zionism was “the most stupendous fallacy in Jewish history”, arguing that it was “fanatical in its politics” and “sterile in its spiritual ideas”. Edwin Samuel Montagu, a Jewish-English politician, scathingly described it as a “mischievous political creed”. And needless to say, most Jews once adhered to the view that the man-made creation of a modern Israel would be an abomination. But the triumph of Zionism over Bolshevism in the hearts of the majority of global Jewry has contrived to link the fortunes of Jews with that of Israel. Distinctions between political Zionism and Judaism are often blurred and criticism of Zionism as an ideology is interpreted as an attack on the Jewish people. This, critics point out, is borne out by the term “delegitimisation of Israel” which the International Holocaust Remembrance Alliance (IHRA), interprets as the denial of the Jewish people’s right to self-determination, such as by claiming that the existence of a state of Israel is “a racist endeavour”. For many who are aware that a fundamental aspect of Zionism, whether emanating from the Left-wing Labour Zionists who publically espoused an accommodationist stance or from the Revisionist Zionism embraced by the followers of Vladimir Jabotinsky, was to expel Arab inhabitants in order to create a Jewish state, the supposition that the creation of Israel was not a racially-motivated project is one which does not rest well with logic. For them, the recent passage through the Knesset of the Basic Law on Israel as the Nation-State of the Jewish People serves as a formal acknowledgement of Israel as a racialist, ethno-state. The frequent barbs relating to the inherent hostility to Jewry of Left-wing thinking as well as occasional ones pertaining to the existence of a supposedly Soviet form of “Jew hatred” that is capable of been appropriated is flawed and in the context of Ben Cohen’s piece intellectually dishonest. In the final analysis, the struggle with the Labour Party, which under Tony Blair was ardently pro-Israeli and biased against Palestinian interests, is less about the existence of genuine anti-Jewish sentiment and more about protecting Zionist Israel from the sort of criticism never directed against it by a mainstream British political party. It is a party that the instigators of the campaign know is capable of winning a future general election, and which if in office would be more vigorous in holding the Israeli state to account for its multitude of violations of human rights as well as its persistent disregard for international law.